One of the most spectacular walks in the Aegean Islands. For those of you that are wary of the summer crowds, we suggest to visit the Island of Santorini in Spring time or late autumn. This way you will avoid the crows of high season the hot weather and high season pricing. So if you enjoy hiking, the peaceful vacations, some solitude with the picturesque settings and exploring the inner parts of the island then this is the time for you. 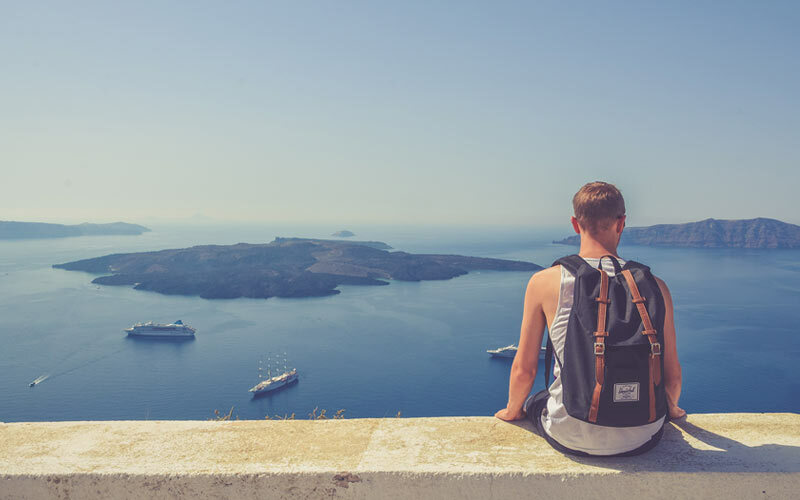 At this time of the year a stunning route worth doing (and one of the best In the Aegean) is the walk from Fira to Oia via Imerovigli. The total distance from Fira to Oia is 9 km and you will need approximately 3 hours. The altitude differences are very small and for most of the trail you will be hiking by the Caldera with the most spectacular views. 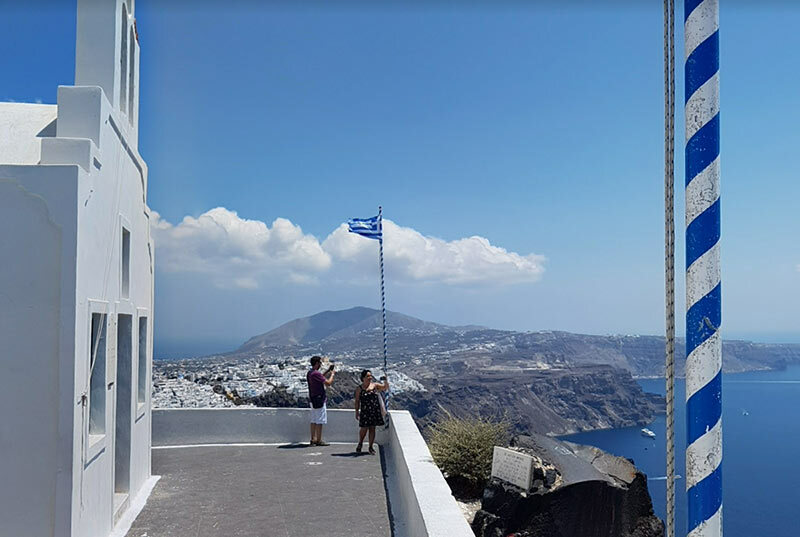 If you Rent a Car in Santorini then the best place to leave your car is in the entrance of Fira where the walk starts, once parked in designated areas follow the signs for the cable car. Then continue to the Petros Nomikos Conference Center walking along the edge of the Caldera. After apox 20 ‘from the cable car you will reach Agios Gerasimos, between Fira and Firostefani. Take the inner streets that cross the beautiful village and on your way to Imerovigli you will reach the monastery of Agios Nikolaos. Once at the Monastery take you time to take in the impressive views of the caldera from the patio of the monastery, the place is breath taking. Carry on walking to Imerovigli until you reach Agios Georgios , again it is worth a stop to admire the volcano from its courtyard. Below your way you will find the church of St. John of Katiforis, (in Skaros Area), walk down the stairs to the left, and you will come across the peninsula with the few ruins of the medieval capital of the island, and once again enjoy the unique view of the volcano and Aegean. Carry on the path until you reach Panagia Theoskepasti, to the west of Skaros. Return back up the stairs, continue in the alley next to St. John and head to a dirt road where there is a number of hotels. The first small section of a clear path, outside Imerovigli, will be magical as it provides majestic views. One of the detours worth doing will bring you (near the end of the range of hotels) to Agios Antonios. It is a downhill paved path of around 5-10-minute route to the chapel. Return to the main road and go up right from St. Mark to reach the private small church of Prophet Elias, above Imerovigli. At this point you can arrive with your Santorini Car Rental if needed. For many the most beautiful part of the path starts here with Prophet Elias, from this point onwards you are just surrounded by nature and the splendor of the majestic views. The signs to Oia will guide you down until you reach the motorway at the Pori junction. Continue carefully for 300 m on the asphalt road and you will find the path near the bay again. From here on, you ascend to the Black Mountain, famous for its blazing sunsets. 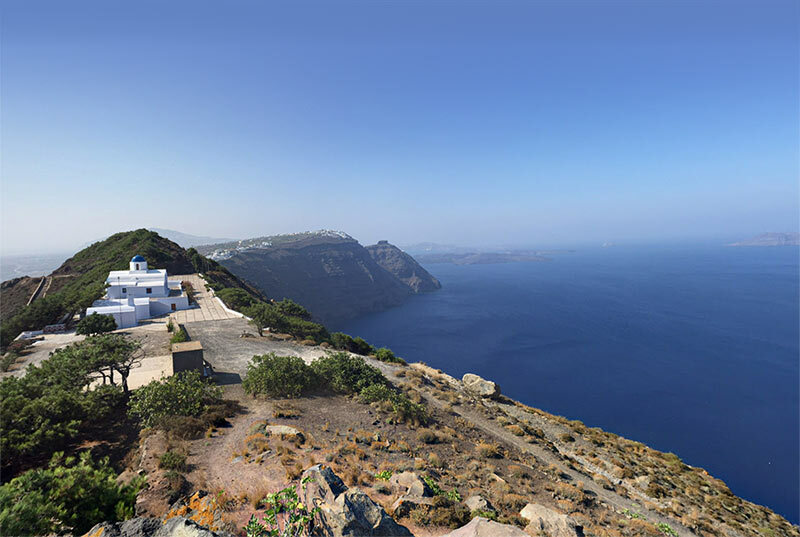 At the top of the hill you will see the small chapel of Stavros were you can enjoy the panoramic view of Oia. After you will descend to Profitis Ilias of Oia (aprox 10 mins) and you will pass the desalination plant of Santorini (another 5 mins). From here onwards, follow the asphalt road, or a short path to your left, to enter the village of Oia. At this time of the year Oia is the perfect place to enjoy and evening drink and the breath taking sunsets. Once you finish your visit there at Santorini Dream Cars if arranged we can deliver your Car Rental so you may return to your hotel. Remember when you rent a car from Santorini Dream Cars we provide unlimited Kms, no delay charges and free Theft Insurance. All our cars are in excellent condition and you can pay on arrival. We wish you a pleasant stay and safe driving on the Island.